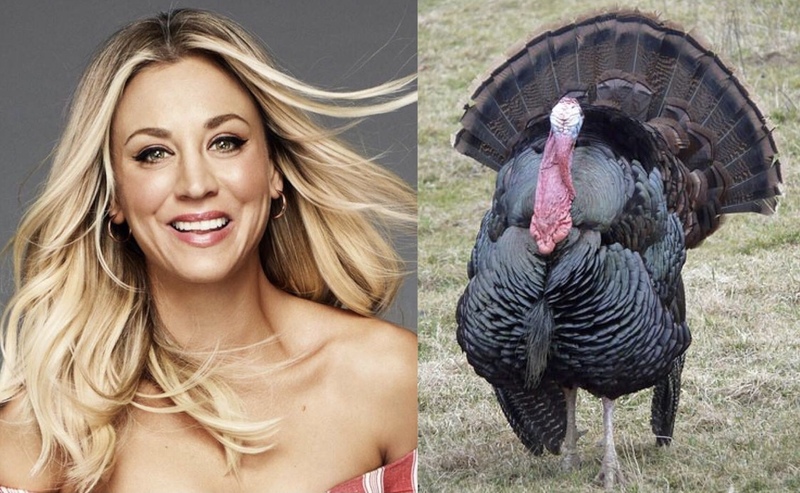 Kaley Cuoco Teams With Farm Sanctuary To Encourage People To Adopt A Turkey This Thanksgiving, Not Eat Them! 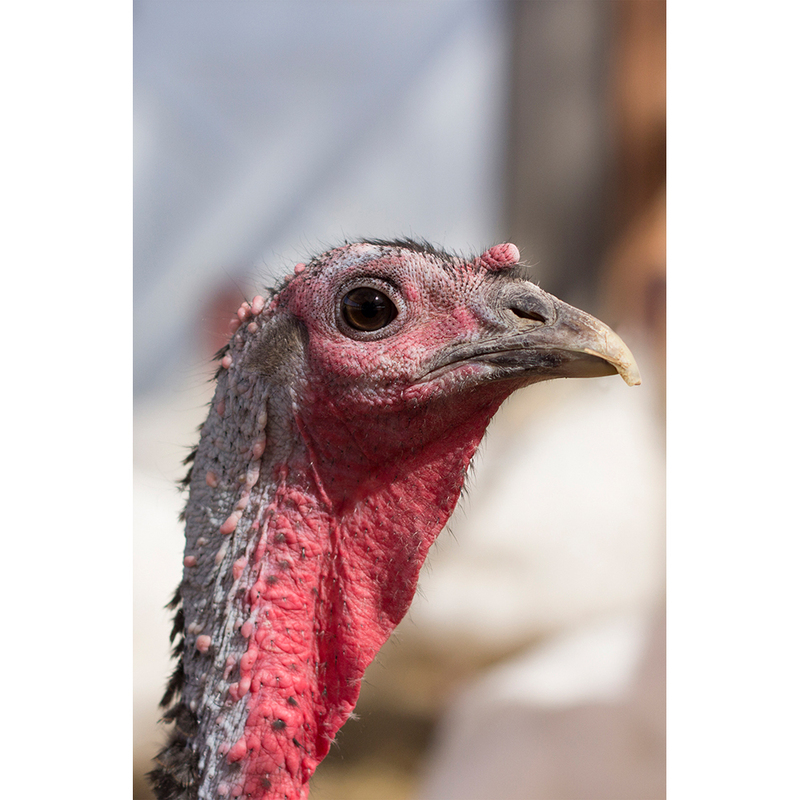 It’s November which means it is time to talk turkey again…a chance to adopt one of the millions of Turkeys this Thanksgiving and choose compassion on your plate! As previously reported by WAN, more than 46 million turkeys are tragically eaten each year during Thanksgiving. Actress, vegetarian, and animal advocate Kaley Cuoco is among those encouraging people to adopt a turkey from Farm Sanctuary, or a whole flock. For just $35.00, anyone from anywhere can sponsor a turkey who lives at one of the organization’s three shelters located in Watkins Glen, New York, Los Angeles, or Orland, California. The fee to adopt the flock is just $150.00. Each Farm Sanctuary Adopt a Turkey sponsorship arrives with a special Adopt a Turkey certificate with a color photo and fun details about your new friend; a one-year subscription to Sanctuary, Farm Sanctuary’s biannual print magazine; and, most importantly, Farm Sanctuary’s deepest appreciation for contributing funds for the care of the rescued animals at their sanctuaries, and its ongoing efforts to educate and advocate for turkeys and other farm animals. 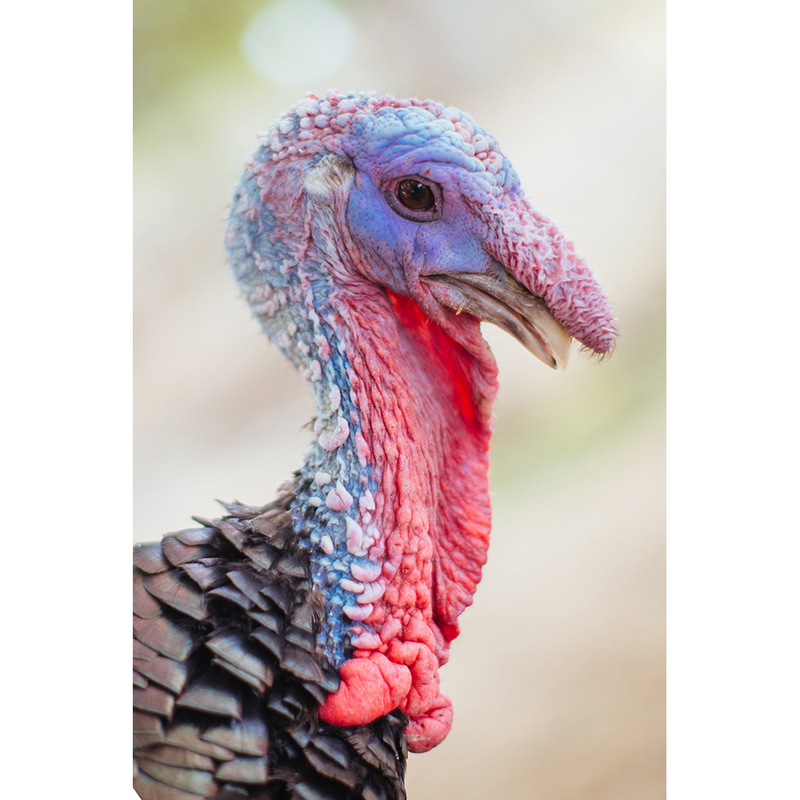 Bowie is a confident, assertive leader who loves to strut proudly in front of his rooster fans and enjoys chatting with the turkeys who live next door. 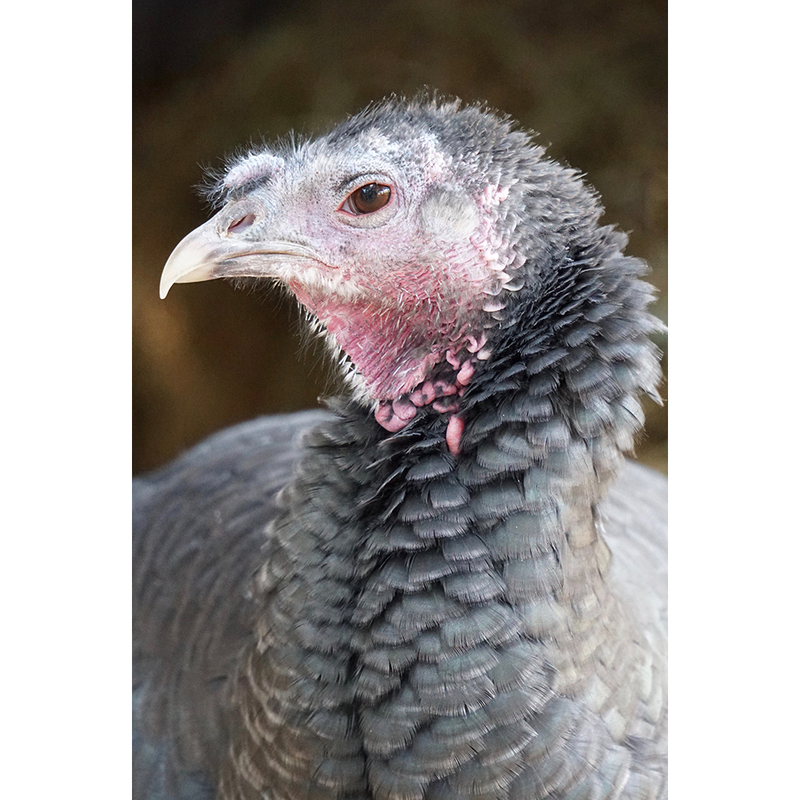 Gerda is one of 24 turkeys saved by an anonymous rescuer and brought to Farm Sanctuary. 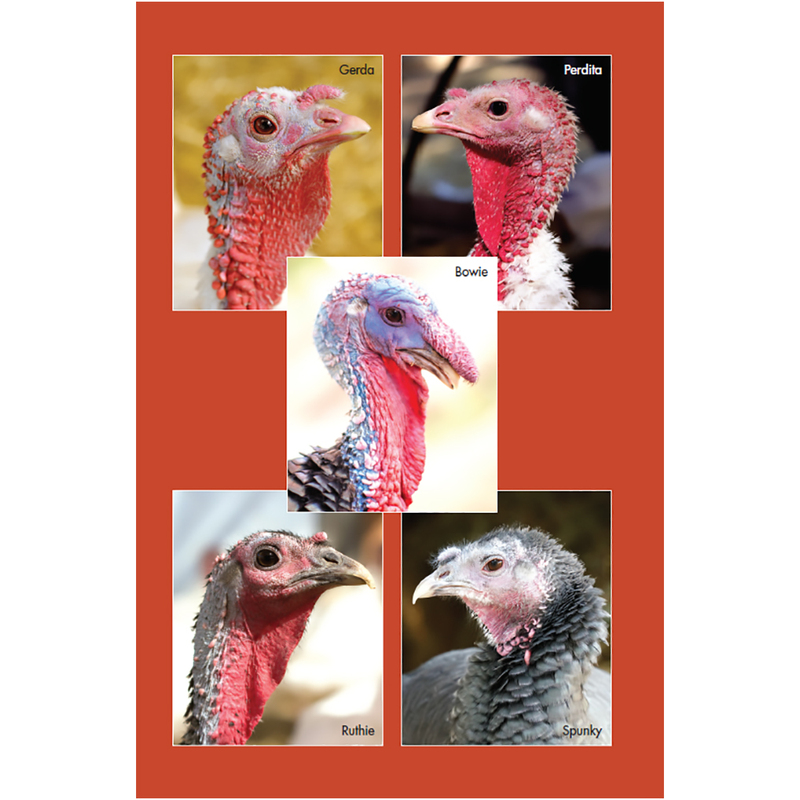 Since they were debeaked, a common industry practice, these turkeys most likely started life on a factory farm. In helping animals like Perdita, compassion truly begins on our plates. 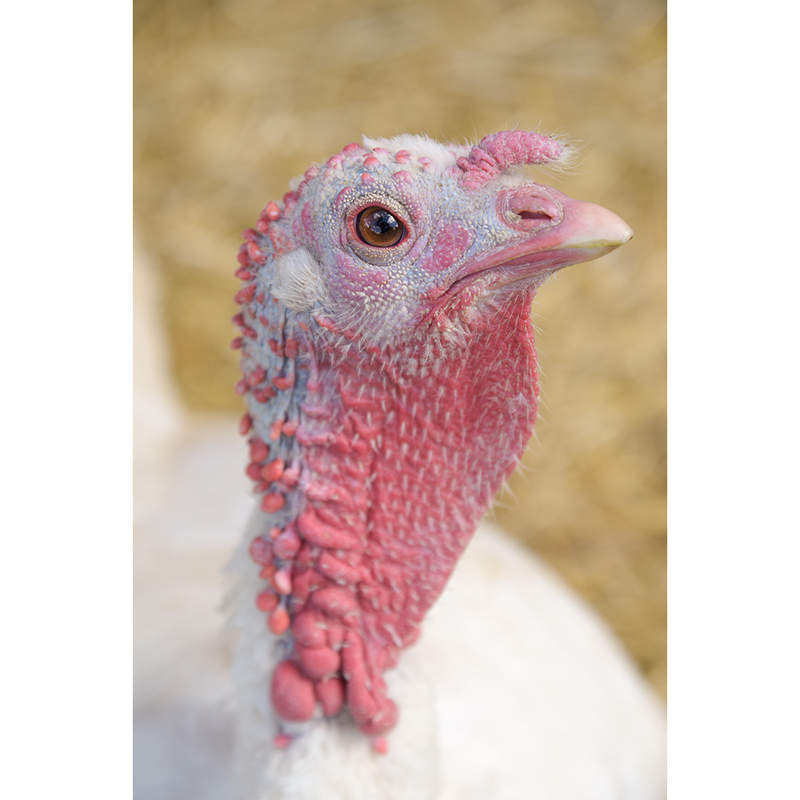 Raised on a factory farm, Perdita would have been among the 240 million turkeys slaughtered for meat in the U.S. each year. 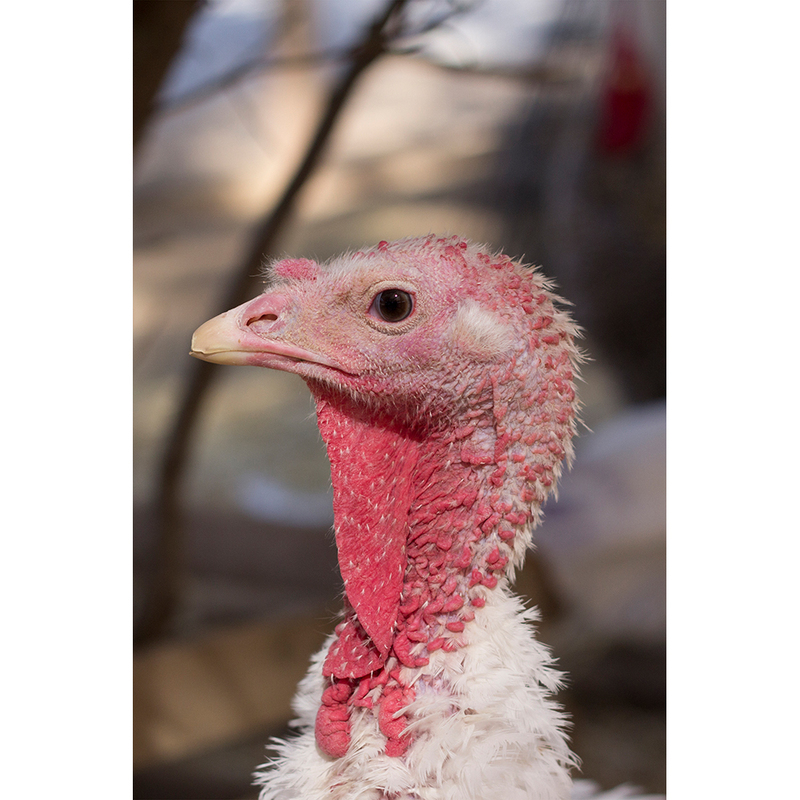 Spunky’s guardian rescued her from becoming a Thanksgiving meal, hoping to provide a better life for her. Unfortunately, the woman was unequipped to care for turkeys, and we stepped in to make sure Spunky was able to get the medical attention she needed. Ruthie’s former “owner” thought she was purchasing chicks for her backyard-hen flock; as Ruthie grew, the woman realized she was actually a turkey! Farm Sanctuary, which is committed to ending cruelty to farm animals and promoting compassionate vegan living through rescue, education, and advocacy efforts, launched its annual Adopt a Turkey Project in 1986. Since the inception of this much-needed program, more than 1,000 turkeys have been rescued from a brutal death, while also giving thousands of people an opportunity to honor the spirit of the holiday by helping animals in need. Please join Farm Sanctuary in making this Thanksgiving a compassionate one for everyone, and sponsor a Turkey Today. CLICK HERE!